Going away for the weekend is always fun till it comes to packing. No one wants to go overboard and pack so much items that won’t be put into use. And at the same time, you don’t want to forget essential items by packing so little. When it comes to packing for a weekend trip, the destination always matters as you have to pack based on where you are going. If you going to the beach or a hotel that has a pool then a swimsuit would be top on the list of items to pack. A pair of sandal and a pair of heel_ you just might need it. 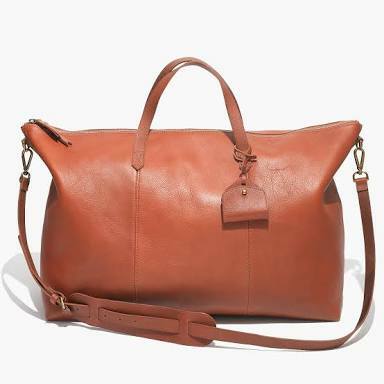 Things like towels,shorts,nightdress,toiletries would be the next items to put into that weekender bag. Have any other packing guideline you would love to share? Drop it in the comment section below. Consider packing more of lightweight clothes..
Got the guidelines, oshey Laura. Amazing, thanks! Kindly follow us for all kinds of human hair, pure brazilian, malaysian, peruvian, Mongolian, BB pin- 2BB4FDAF, Instagram- @hairbyglowyqueen ,, you can whatsap us on 07067499533 or call 08054997426,, We also do FREE delivery to all parts of Nigeria!! !